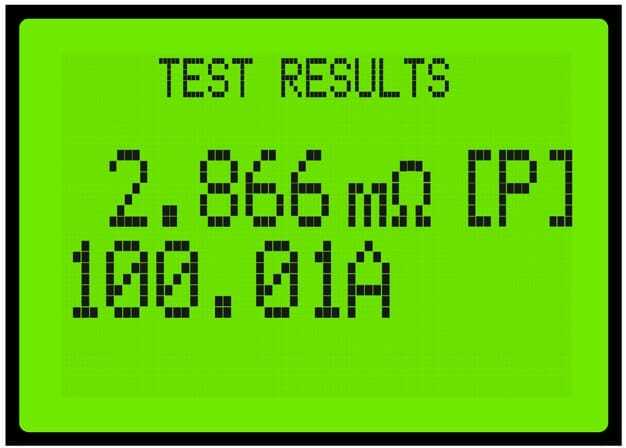 The ASGT-600 can measure resistance value from 1 mi¬cro-ohm to 1000 milliohms. A typical test requires the two ends of the safety ground cable to be connected to the terminals of the ASGT-600. The resistance of the cable and ferrules can then be measured. If the cable size, cable length and temperature are provided, the ASGT-600 will determine if the cables passes or fails the test and a pass/fail indicator will be printed on the test report. Test results are printed on the unit's built-in 2.5” ther¬mal printer. A 44-key QWERTY-style rugged membrane keypad is used to input information and control the ASGT-600. A back-lit graphic LCD screen (128 x 64 pixels) is used to display menus and test results. The ASGT-600 can store up to 100 test records in its in¬ternal memory. It also features a USB Flash drive inter¬face port that can be used to store test data in a USB flash drive (not included). 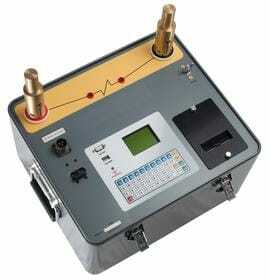 The ASGT-600 also features an RS-232C port that is used for factory diagnostics and calibration. Test records can be reviewed and printed on a PC using the provided software. * NOTE: The clamp and ferrule resistance value of 160 μΩ is used per the ASTM-F2249-03 standard. 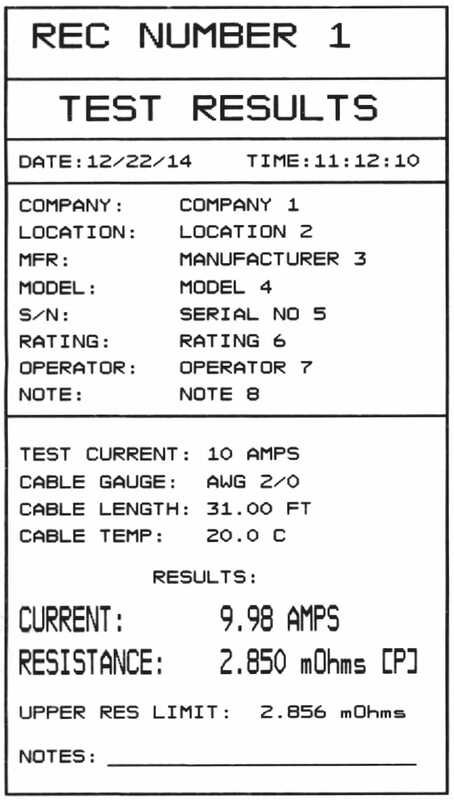 Typical Safety Ground Cable sizes are #2, 1/0, 2/0, and 4/0. The test cable length, ranging from 1' to 50' per table 2 in the F2249-03 standard, is en­tered by the user. Up to 999 test records on external USB flash drive. Do you want to buy high quality Microhmmeters? Inquire for our Microhmmeters prices.